Chaos is running rampant throughout the executive branch of the U.S. government. Nope. It isn’t a “fine-tuned machine,” no matter what Donald Trump calls it. It is a clanking, sputtering bucket of bolts with the wheels about to fly off the rickety machine. Defense Secretary James Mattis has resigned, revealing specific differences of world view with the commander in chief. He becomes the eighth Cabinet officer to resign or be fired in the first half of the president’s term in office. Three Cabinet officials quit under clouds of scandal. Three of them were canned outright. Yet another one resigned for reasons that weren’t entirely clear. Let’s not forget the departure of two White House chiefs of staff, several communications directors, two national security advisers and any number of lower-level White House aides. Now this happens. I happen to be a huge admirer of Secretary Mattis. I admire his military background, his studious nature, his commitment to the men and women in uniform. I admire his steady hand and his repeated resistance to the president’s impulsive nature. He has had enough of the chaos. This decorated Marine Corps general can no longer answer to a commander in chief who operates the way Donald Trump seeks to operate. Chaos is Donald Trump’s modus operandi. He revels in it with no understanding — none at all — of the misery and mayhem it creates for those who must deal with it up close. And this all comes as the president responds to the bellowing of his political base and insists after all for money to build that wall along our southern border. What’s more, the government well might shut down partially at midnight Friday, putting thousands of federal workers out of a job right before Christmas. This is not how you make America great again. It is not how you tell it like it is. It is not how you win. This is a frightening time. James Mattis’s upcoming departure signals a growth in chaos at the highest — most sensitive — levels of our government. Read Mattis’s resignation letter right here. Then ask yourself: Is this any way to run the world’s most indispensable nation? Donald Trump has shown an ability to hire a wide-ranging array of key administration officials. They run from the brightest of lights to the dimmest of bulbs. 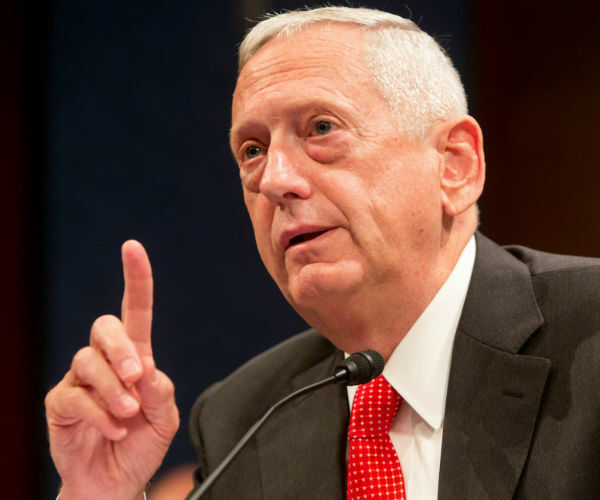 I consider Defense Secretary James Mattis to be among the stars of the Trump administration. He’s a retired four-star Marine Corps general; tested in combat. He’s dedicated to the defense of this country. Thoughtful, learned and a totally competent strategic thinker. 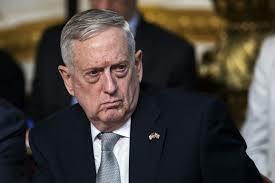 I hope he stays for the duration of the Trump administration, although Mattis’s tenure is beginning to show signs of wobbliness. Then there’s the president’s latest selection to be our ambassador to the United Nations. I am having difficulty wrapping my noggin around this one. 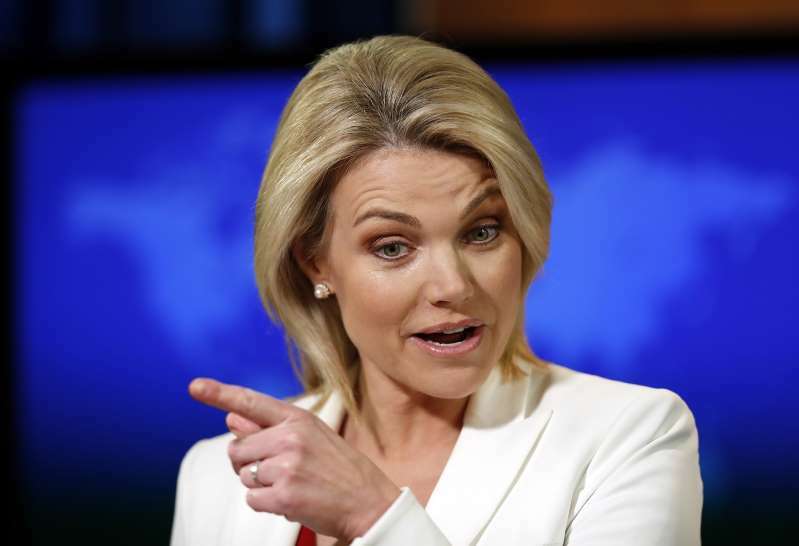 Heather Nauert is nominated to be our nation’s top envoy on the world stage. Her credentials? None. She has nothing to offer. Except for this: She once was a “news” personality on the Fox News News Channel, the president’s network of choice. She did a co-hosting gig on “Fox & Friends.” She dressed up in goofy costumes and acted totally, well, the way morning “news” talk show co-hosts often act. Then she got a job as spokeswoman for the State Department. You might be recall how she sought to praise U.S.-Germany relations by citing, for instance, the upcoming D-Day commemoration. D’oh! Wait a second! Our guys fought the Germans to the death on the beaches at Normandy, France. We were at war. This is the kind of “experience” the president sought when he named this person to be our advocate on at the United Nations. Is the defense boss next one to go? Oh, I was hoping James Mattis could survive the on-going purge of grownups within the Donald J. Trump administration. It appears the hope is fading. Mattis is the defense secretary, a retired U.S. Marine Corps general, a decorated combat veteran, a seriously competent military expert and a man known to be a bona fide check on the president’s lack of knowledge of damn near anything involving foreign/military policy. He once was one of Trump’s favorites. He’s no longer among those folks, according to The New York Times. 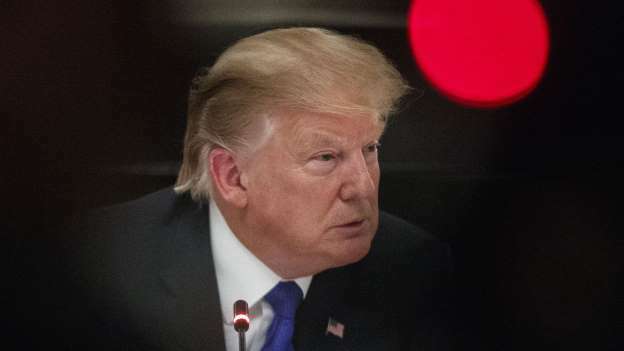 As the Times reports: In the second year of his presidency, Mr. Trump has largely tuned out his national security aides as he feels more confident as commander in chief, the officials said. 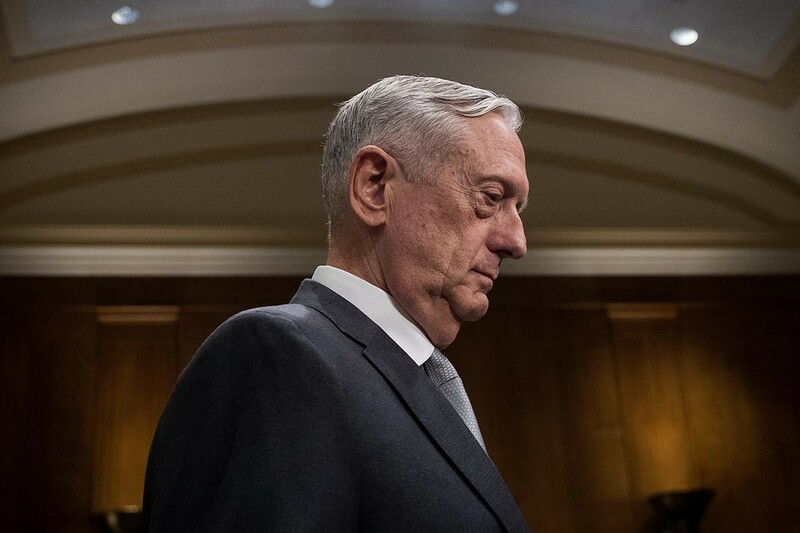 Facing what is likely to be a heated re-election fight once the 2018 midterms are over, aides said Mr. Trump was pondering whether he wanted someone running the Pentagon who would be more vocally supportive than Mr. Mattis, who is vehemently protective of the American military against perceptions it could be used for political purposes. Mattis has become a subject of some chatter of late, given the release of Bob Woodward’s new book, “Fear.” Mattis reportedly has actually explained to Trump that U.S. troops are stationed in South Korea to “protect us against World War III.” Trump supposedly asked out loud just why in the world do we have those troops on duty in South Korea. 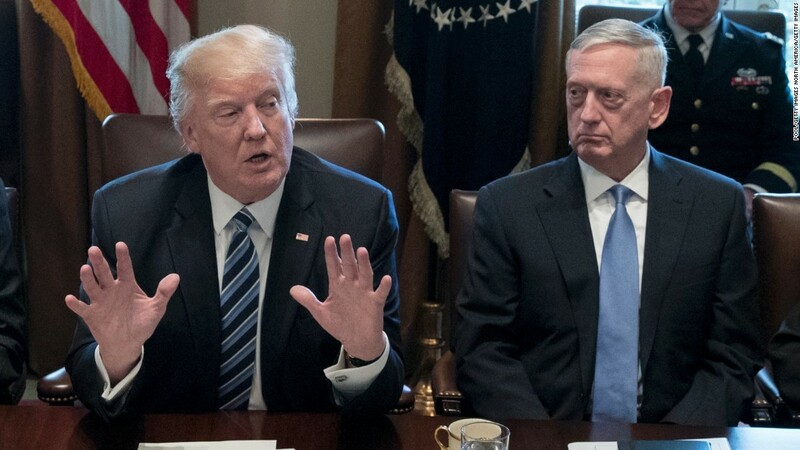 Mattis reportedly has said the president has the attention span of a fifth- or sixth-grader. 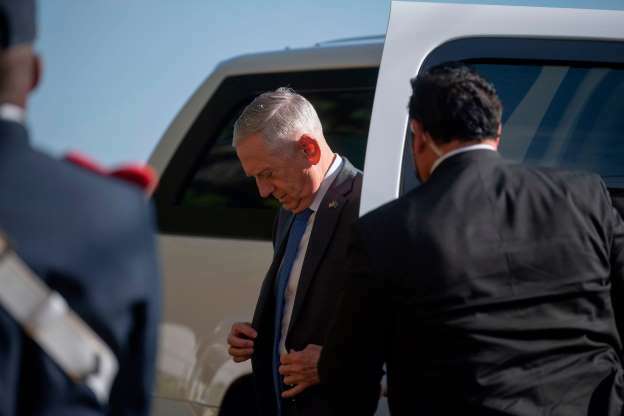 There’s this from the Times as well: Mr. Mattis himself is becoming weary, some aides said, of the amount of time spent pushing back against what Defense Department officials think are capricious whims of an erratic president. This, according to the president, is how a “fine-tuned machine” functions. Donald Trump is delusional. To the max! Don’t go anywhere, Mad Dog … please! As the president of the United States tries to clean up the wreckage of that hideous meeting with Vladimir Putin and the press availability the two of them had, I have a request to make of some key members of the president’s Cabinet. I still expect to see some members of the administration team to resign. I want to plead for Defense Secretary James “Mad Dog” Mattis to stay put. He is one of the rare grownups hired by Trump. For that matter, I think I’ll offer the same request to Secretary of State Mike Pompeo. He’s another adult in the room. He managed to cobble together that summit with Donald Trump and North Korean dictator Kim Jong Un. Pompeo doesn’t deserve brickbats for the result of that Trump-Kim fiasco. I’m still expecting White House chief of staff John Kelly to go; then again, he’s been on the bubble anyhow. The charade that Trump put on with Putin in Helsinki well might hasten his departure. I also wouldn’t be surprised to know that U.S. ambassador to Russia Jon Huntsman will hit the road. Perhaps, too, Director of National Intelligence Dan Coats, whose assessment of Russian meddling was challenged directly by Trump on Monday, might see fit to quit. Coats has acquitted himself well, too. However, my favorite Trump Cabinet appointee remains the guy with the “Mad Dog” nickname. Stay put, Secretary Mattis. We need you now … more than ever! 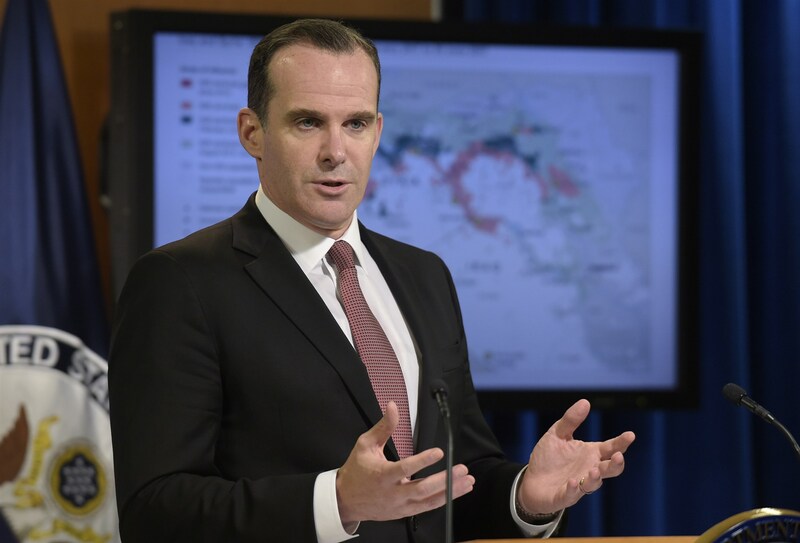 ‘Mad Dog’ can’t work with Bolton? Who knew? Imagine my non-surprise to hear this tidbit on a drizzly Texas Panhandle day. 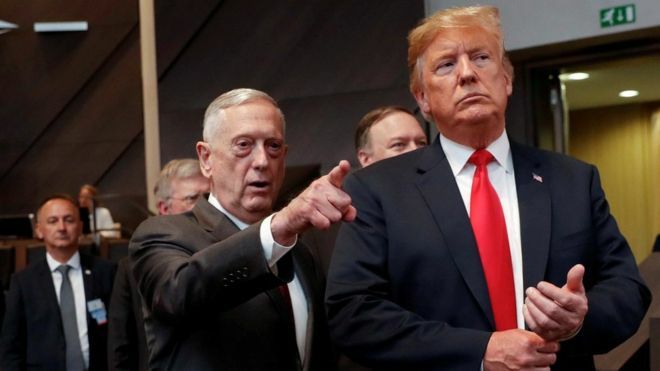 It is that Defense Secretary James “Mad Dog” Mattis told associates he isn’t sure he can work with John Bolton were he to be named national security adviser to the Donald J. Trump administration. You see, Mattis is a grownup. He’s a retired Marine Corps general with combat experience. He knows war. He’s seen it up close. He’s been to hell and lived to talk about it … were he so inclined. Bolton is more of a “chicken hawk.” He doesn’t have the kind of real-world experience that Mattis has piled up. Yet he stands ready to recommend war at almost any turn. The Hill reports that White House chief of staff John Kelly, another retired Marine general, also is unhappy with Bolton’s selection as national security adviser. Well, now the president has appointed Bolton to be the national security adviser. The decision appears to have isolated Mattis, who had a kindred spirit in the national security adviser’s chair for about a year. Army Lt. Gen. H.R. McMaster is stepping down as national security adviser and reportedly is retiring from the Army. He and Mattis double-teamed as a reasonable tandem of advisers who were willing to advise Trump against acting rashly — even though they weren’t always able to persuade the president to follow their advice. Gen. McMaster is now gone. Is “Mad Dog” Mattis the next grownup to be shown the door? Chaos is king in the Trump White House.